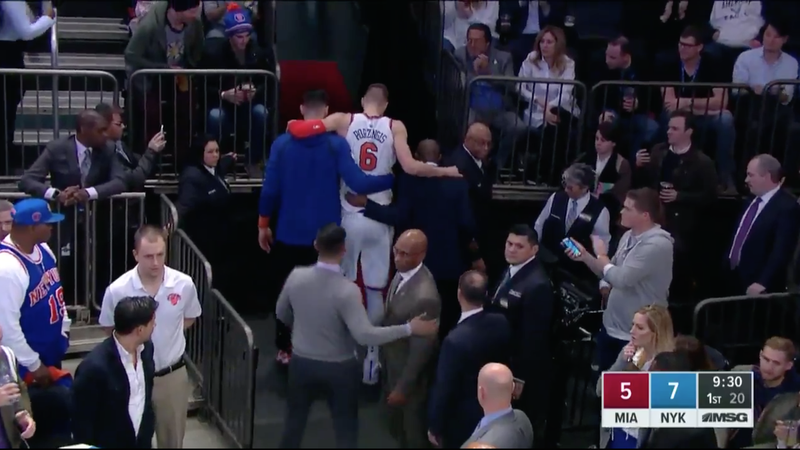 The Knicks suffered some bad luck early tonight against the Heat, as Kristaps Porzingis was helped off after going down with what looked like a pretty nasty ankle sprain. Thankfully, x-rays were negative and he should be available to return. But, despite how bad that looked, Knicks fans need not sink below their normal and naturally occurring levels of despair!